"Borrel", known as "Varrel" (ヴァレル Vareru) in the Japanese version, is an archetype used by Varis. 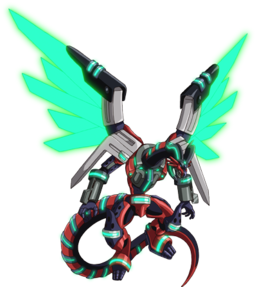 The archetype is related to the "Rokket" archetype, which is also used by Varis. Both the English and Japanese names of the archetype are wordplays on gun barrels.